Unified Modeling Language (UML) is a language of graphic description for object modeling in the field of software engineering. UML was created for definition, visualization, designing of software systems. UML is an open standard that uses graphic notations for creating visual models of object-oriented software systems. The Rapid UML Solution for ConceptDraw DIAGRAM presentsthe intuitive RapidDraw interface that helps you to make the UML Diagram of any of these 13 types quick and easy. EPC or The Event - driven Process Chain diagrams that provide Enterprise Resource Planning improvement. 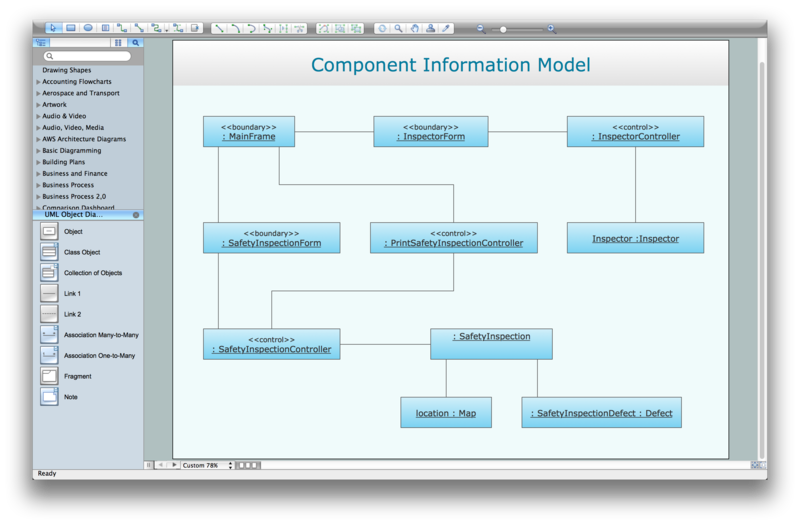 ConceptDraw DIAGRAM v12 - software that reduces the time needed to create a business process model.